Hey I hope everyone had a great weekend... now its time to get back to business!! This project I found not that long ago on an arts and crafts site for sale so I figured that I would give it a shot and do it myself... Just to see what would happen. I have to say that I am very happy with the results and definitely plan on doing many more of these with different words maybe even some sayings as well as for different holidays!!! 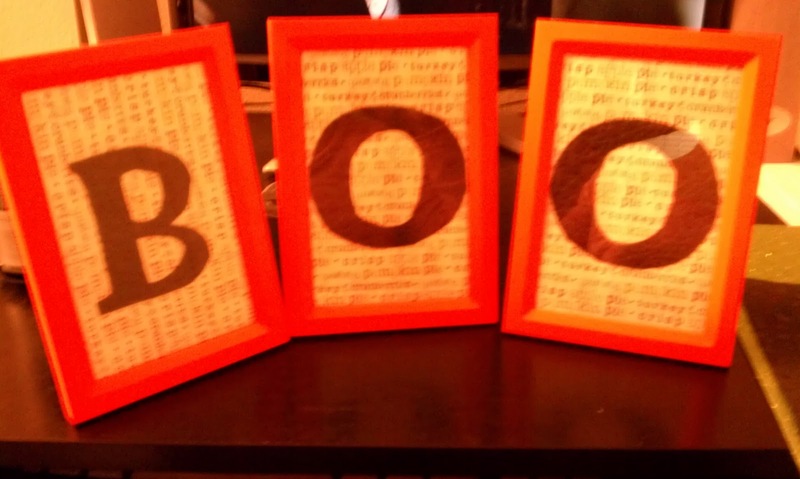 Today I am going to go through how I made these extremely fun and cute Halloween "BOO" frames!